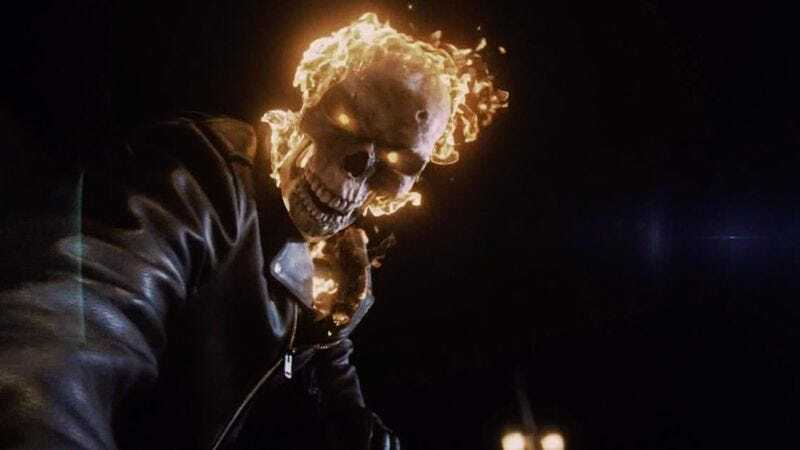 Ghost Rider’s origin is revealed as a new villain threatens Agents Of S.H.I.E.L.D. Sometimes, Agents Of S.H.I.E.L.D. does the exact opposite of the old “show, don’t tell” rule of visual storytelling. Instead, it weirdly goes for the strategy of “tell, then show for good measure, just in case.” In the flashbacks that make up a decent portion of “The Good Samaritan,” a character in the present day (usually Eli) will say what transpired way back when, and then the show will cut to it, and depict what was just explained. It’s an odd way to reveal backstory, and the only reason I can imagine for the tactic is because the writer (good old reliable Jeffrey Bell, in this case) assumed that building to a twist would be a fun way to throw history out of whack, and disturb the audience’s assumption that they knew what was coming. It doesn’t quite land, but luckily, this installment builds to an exciting climax, and leaves us hanging with the supposed bombshell that Eli was a villain all along. Anyone who noticed his worrisome look at the Darkhold last week probably saw this coming, but enough legwork goes into trying to convince us otherwise until the last minutes that it still works as a cliffhanger. It’s like the old saying: If you put a too-humble imprisoned PhD-holding family member on the shelf in the first act, you better turn him evil by the end of episode six. This week’s events start on a clumsy note, but thankfully Ghost Rider is still here to liven up the wobbly build-up. Robbie’s backstory was revealed tonight, and yeah, it’s basically exactly what you assumed it would be. He was on his way to a race, convinced Gabe to come along, and then when the goons (hired by Joe, it turns out, to keep Eli silenced) shoot them up, Robbie uses his final moments to plead to whoever will help, in a last-ditch effort to save Gabe. Hence, the arrival of the previous Ghost Rider, who pulls Robbie’s sibling out of the car and then passes on the vengeful curse. Despite the predictable nature of the tale, it’s delivered with a deft touch, Robbie’s slow-motion spin as he flies out of the car creating a tense moment in spite of the knowledge it can’t end well. Even Daisy is caught up in it—”Don’t stop there,” she urges, wanting to know just what happened. Once the story is done, and Director Mace raises the doors on the aircraft to expose the containment pod and let Coulson know the jig is up, things finally get rolling. Watching Ghost Rider bust out of the pod was good, but watching him beat up Mace was better, and then having Gabe pull him back from the brink of murder lent an overarching pathos to the entire sequence. Not the most effective pathos, mind you—one of the downsides of having a fast-paced action series is that it’s tough to hit weighty emotional beats as the sparks fly—but pathos nonetheless. And it wasn’t a very long conversation, but the debate between Coulson and Mace about what to do with Robbie captured the entire conflict of Coulson’s old guard vs. Mace’s new tactics in a superpowered nutshell. Robbie isn’t exactly a terrorist—that was a little too “Fox News” of a designation for Coulson—but they agree he needs to answer for what he’s doing, once he takes out Lucy. Unfortunately, none of them quite understand the nature of Ghost Rider. There’s no benching the Spirit Of Vengeance. The first half of this episode stumbled in trying to make large amounts of exposition and backstory compelling by tying it to Mace’s search for Daisy and Robbie. 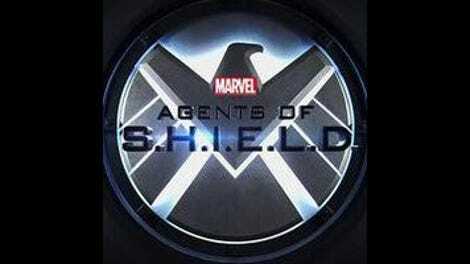 It’s a rare case of Agents Of S.H.I.E.L.D. not spending enough time on something tense and nervy, and instead just having the search for the outlaws take place mostly in the background of scenes. Thankfully, once Operation “Shut It Down” (that’s what they should have called it, right?) went into effect, everything improved by a factor of “badass.” Lucy confronts Robbie, and the inevitable truth of Eli’s duplicity is revealed, just in time for Robbie to burn out the last ghost, leaving only newly minted uncle nemesis as the surviving member of the Momentum Labs team. We get a brief glimpse of Eli’s power in action, creating matter in his bare hand, but the real struggle is just being set up. May got away with the book, and it seems obvious Eli doesn’t want that text in anyone’s hands but his own. It will be interesting to see if the plot of Doctor Strange has an effect on Agents Of S.H.I.E.L.D.’s story, the way other Marvel films set on earth have done. As some of you have noted, this season effectively introduced magic to the MCU; time to see if that magical street goes both ways. While this first arc of season four ended up being a lot of table setting for a villain about whom we’re still mostly in the dark, it kept a smart pace and refused to get too bogged down by the show’s former Achilles heel of clumsy plotting. The fact that Lucy and company were all just a prelude to Eli is acceptable, because the series mostly kept to the fun and frothy strategy of delivering thrills at a steady clip in between wisecracks. There are a lot of interesting themes about power, secrecy, and honesty that have only been hinted at thus far, and it’s no guarantee the show will address them all going forward. Still, having a bunch of irons in the fire means Agents Of S.H.I.E.L.D. can forget about a few and still pull off a strong season; here’s hoping the matter Eli can now create includes the matter of a worthy foe. The talks between Coulson and Mace are nearly always good, charged as they are with the tension of the former director being ordered around by the new one. It’s a solid dynamic, even if it has yet to attain the heights of the Coulson/Talbot Comedy Hour. If nothing else, “The Good Samaritan” taught us that keeping Ghost Rider locked up in a containment unit for three-fourths of an episode is never a good idea. Let him confront actual ghosts and deliver cool zingers right before he burns them into dust! Looks like we’ve got a few weeks before the next installment. Feel free to continue the discussion with me on Twitter and in the comments. I can’t respond to everything, but as always, I’ll do my best to read them all.